Well, not everybody. But 834 people did, including 17 aldermen, staff from three aldermen’s offices, State Rep. Susana Mendoza, and Manny Flores. It was all kind of amazing. The crowd represented every age, color, and background imaginable. We brought out grandparents, kids wearing skinny jeans, community organization leaders, people with fevers, eco-village residents-to-be, kickball documentarians, closet anarchists, non-voters, leagues of women voters, people with federal security clearances, guys from Pittsburgh, saxophone players, people who wore really nice-smelling fragrances, reporters, psychologists, editors, nice young men eating sandwiches and chips, women wearing pearls who really looked like alderwomen but weren’t, dudes in suits who really really looked so much like aldermen but also weren’t, Obama associates, bosses, close friends of former bosses, spouses, tee-totallers, drunk people, Canadians, Texans, marketers, a blonde girl who looked like participating artist Johanna Meyers but wasn’t, participating artist Johanna Meyers, a woman who wore a fedora like a champ, DJs who wear doctors’ jackets for fun, dominatrixes, some guy with a plastic bag full of empty bottles, the Local Tourist, artists, designers, someone who ruined all of the toilet paper (I won’t say how), a gal with a black eye (it’s not what you think), a guy who had a mustache like Jeremy’s, drummers, married couples, divorced couples, lawyers, and more artists. It was more convenient to text your friend in the other part of the room than go look for them, and we had a line at the door (crowd control is essential when your guests know what the city code says about capacity breach). Nobody sang “Don’t Cry for Me, Argentina” from the balcony to the folks outside, which seems like a missed opportunity, in retrospect. 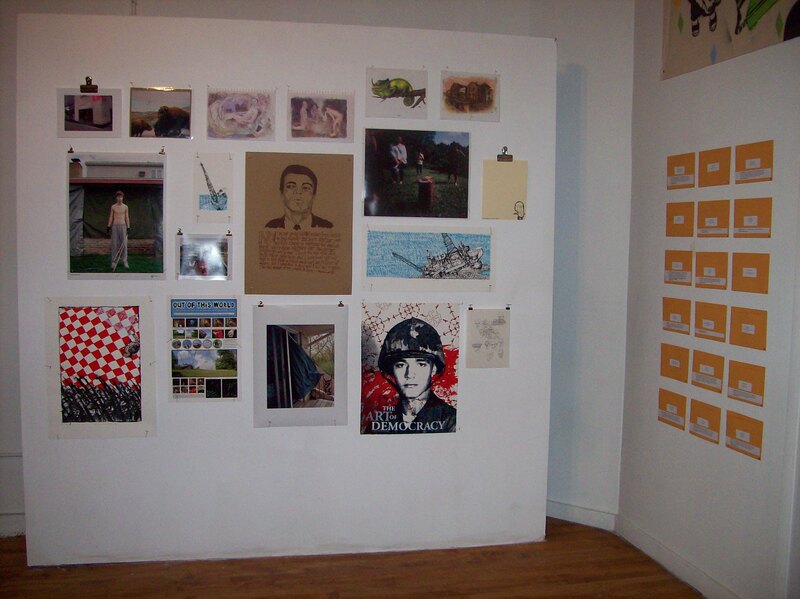 (There will be a closing reception on 4/2; perhaps this goal can be accomplished then.) People ate food named after Todd Stroger at Earwax, the restaurant downstairs. We heard that one alderperson would not like their portrait when they saw it, but they came and they didn’t say they hated their portrait, so maybe they liked it. The piece sold, so somebody liked it. 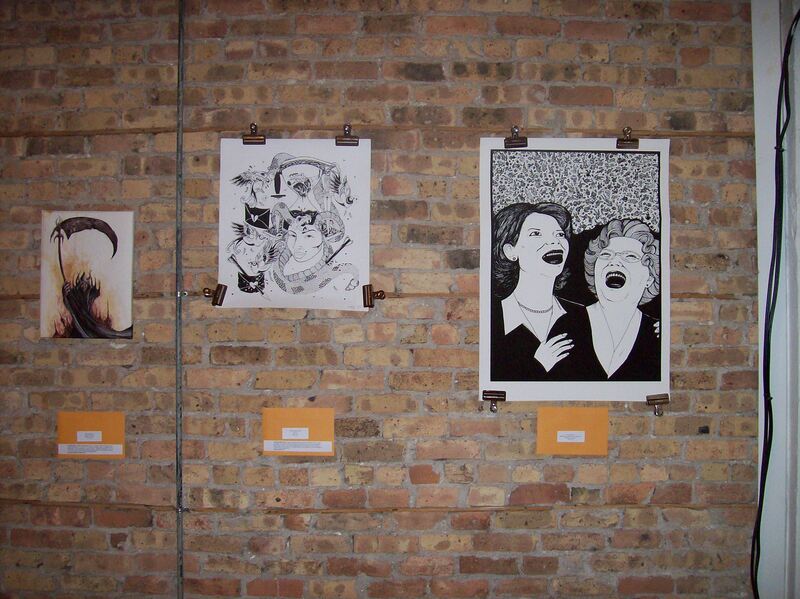 Chicago Aldermen Project opens tonight at Johalla Projects! Spring is almost here and it has been a beautiful week in Chicago. Come celebrate the end of winter with Johalla Projects this evening for the opening of Chicago Aldermen Project: 50 Aldermen/50 Artists from 7pm-11pm. We are very excited to host this exhibition; curators Lauri Apple and Jeremy Scheuch have amassed a great group of artists that have produced some amazing portraits of our city’s council members. 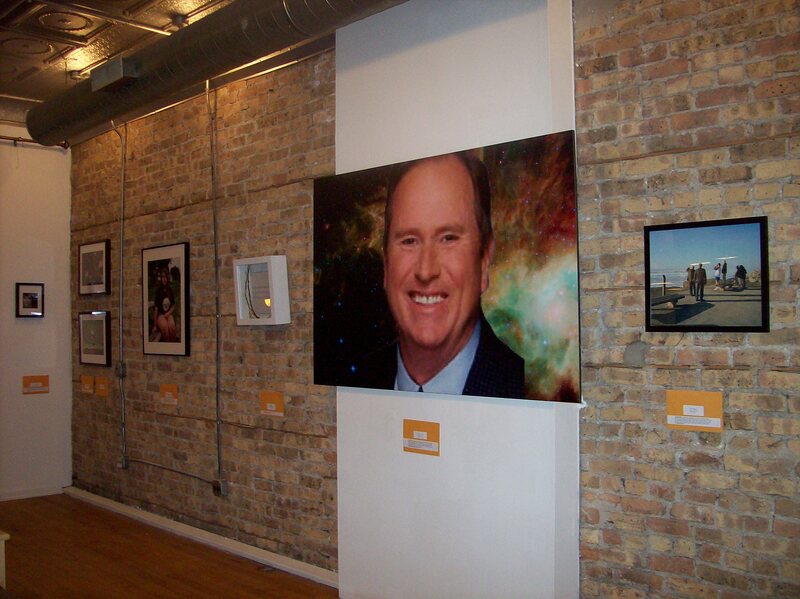 How many Chicagoans know what their alderman looks like? How many Chicagoans can tell you who their alderman is, and what he or she has been doing lately? We’re not pollsters, so we don’t have any hard data to provide answers to these questions — but we are artists, and we’re interested in using art as a vehicle in depicting and learning more about the aldermen who represent us at City Hall. 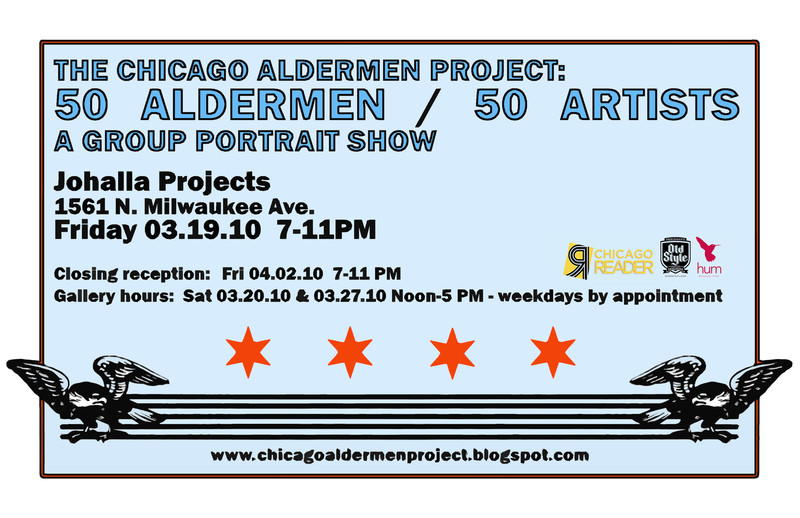 To this end, we have invited other Chicago artists to join us in producing 50 ALDERMEN/50 ARTISTS: A group exhibition of portraits that will enable people to learn more about the 50 aldermen who make up the Chicago City Council, and raise awareness of local government. 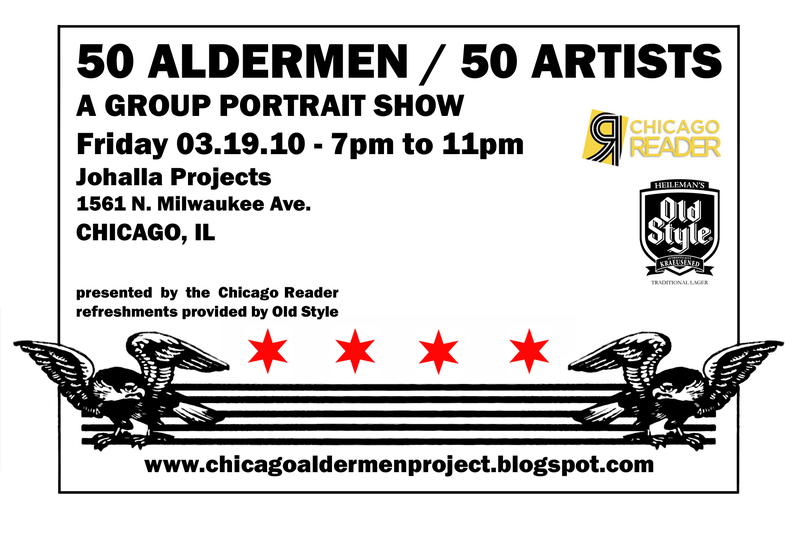 On Friday, March 19, 2010 from 7-11pm, Old Style and Hum proudly presents 50 ALDERMEN/50 ARTISTS at the Johalla Projects Gallery, 1561 N. Milwaukee. Aldermen serve four-year terms, during which they vote on regulations and rules that affect all of us. And sometimes they participate in the notorious Chicago political machine: Since 1974, 30 aldermen have been convicted of federal crimes ranging from tax evasion to bribery. (A couple of others died before going to trial.) Whether ethical or corrupt, aldermen make our city what it is, and make Chicago’s history. 50 ALDERMEN/50 ARTISTS hopes to acknowledge this fact, as well as celebrate the richness of our local political culture. Johalla Projects’ upcoming exhibition “50 Aldermen/50 Artists” has received some great press in the last week. 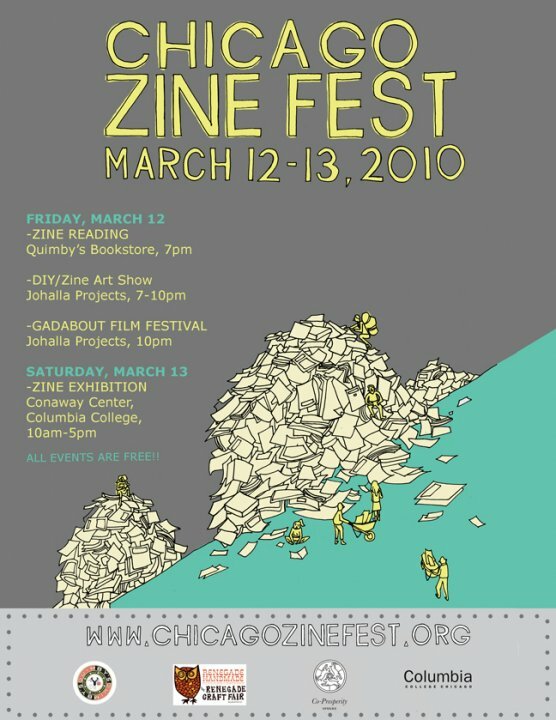 Chicago Zine Fest will be hosting the DIY/Zine Art Show at Johalla Projects on Friday, March 12, 2010 from 7-10pm. At 10pm, there will be a screening of the Gadabout Film Festival. Thank you from Johalla Projects! A belated thank you to all who attended Johalla Projects’ Art Auction Fundraiser on January 29 and a big thank you to all the artists who donated work . 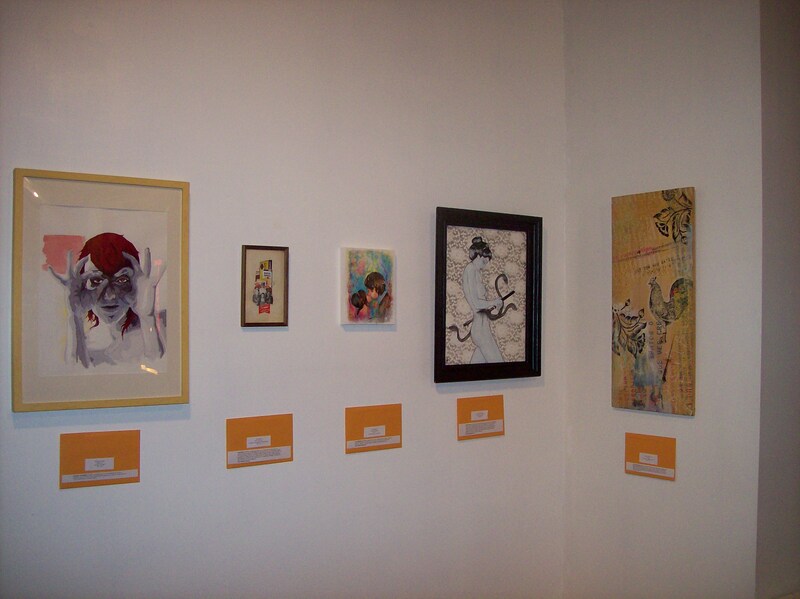 Congratulations to those who went home with artwork. Johalla Projects spent the short month of February meditating on what we have accomplished since we began our venture in October. 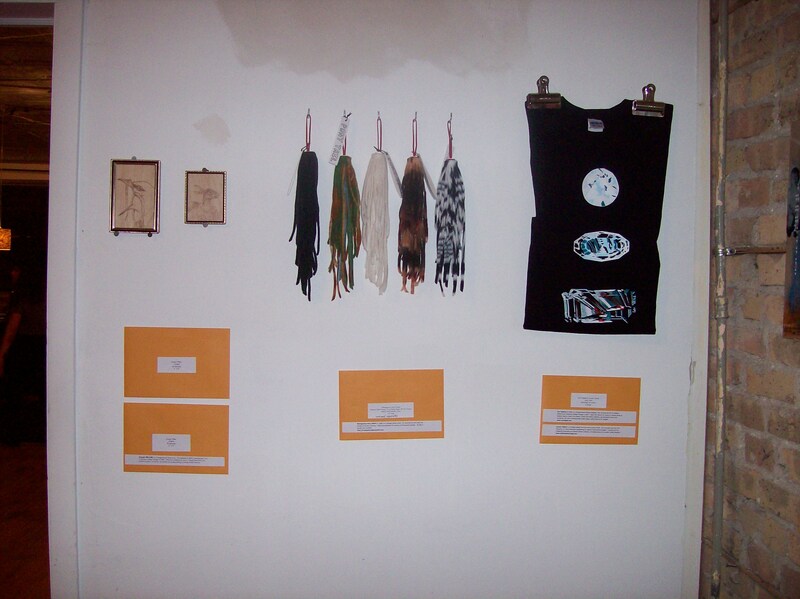 We greatly appreciate your support and look forward to bringing you art in the warmer months. We have a host of events planned for the spring and summer.